Union City Rd, Charlie Norris Rd, Oakley Wells Rd, Noland Rd, Walker Parke Rd, and Doylesville Rd. Some property owned by C.T. Baldwin, John Murphy, Dave Wesley, A.M. Griggs, W.C. Griggs, Charlie Johnson, Jesse Rick, Clarence Wells, M.G. Jones, A.G. Sharp, Myrtie York, Madeline Iris Jones, Loula Hamilton, James Harris, J.H. Reed, William Brumfield, Leslie Parke, and Donald Brumfield. 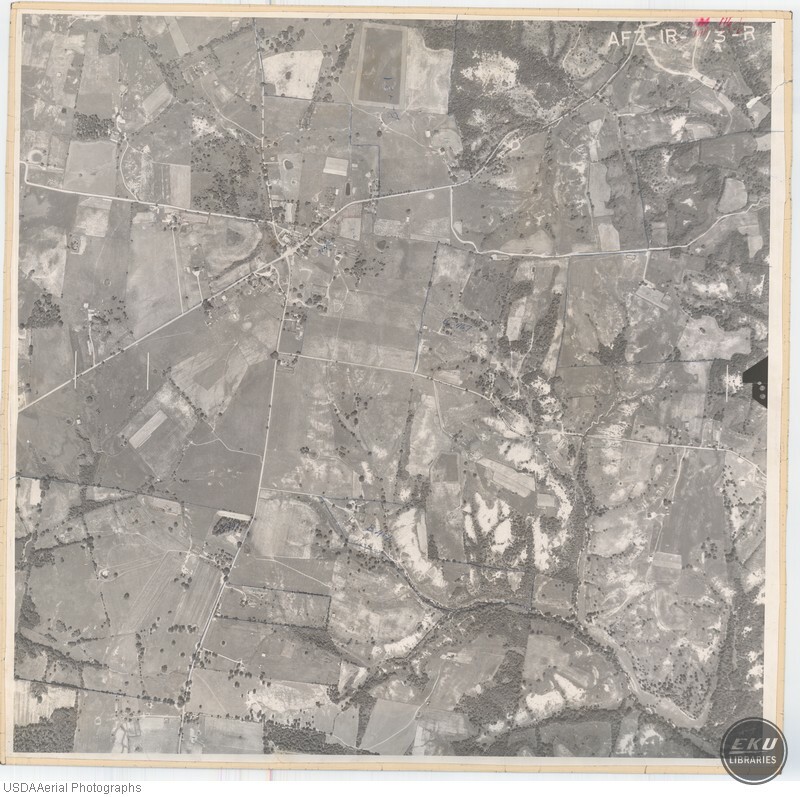 USDA, “Madison County, Union City,” Digital Collections, accessed April 19, 2019, https://digitalcollections.eku.edu/items/show/779.